Great space and value. 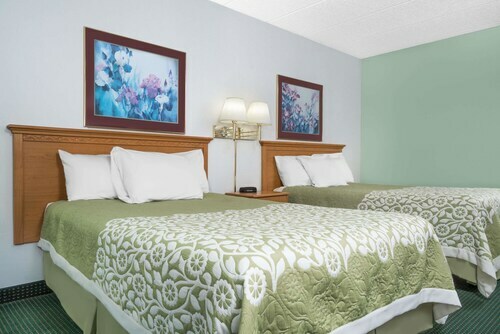 The hotel is very clean and rooms are spacious. Very nice hotel. Very reasonably priced. Would stay there again and recommend it to a friend. The hot tub was closed, that was a disappointment. The room was nice and comfortable. I would definitely stay again. The hospitality of the staff along with the amenities. Staff knowledgeable and welcoming. Nice facilities. I had a quiet room and all of my needs were met. It is a great place to stay. The hot breakfast was a plus. Like the attached Green Mill restaurant and the pool area was nice. So you're considering a holiday to St. Cloud? If you want a place to lay your head that's located close to St. Cloud attractions, use Orbitz to pick your travel dates, and then presto! Look through the list of hotels and other accommodations to find those that are close to what you want to see. We make it easy to find a convenient flight to St. Cloud, MN (STC-St. Cloud Regional), which is 4.8 mi (7.7 km) from the city center. Find the ideal flight quickly by using the filters on our site to narrow down your search. Take a dip when you stay at one of these St. Cloud properties, popular for their pools. What's the Weather Like in St. Cloud? Very nice property owner. 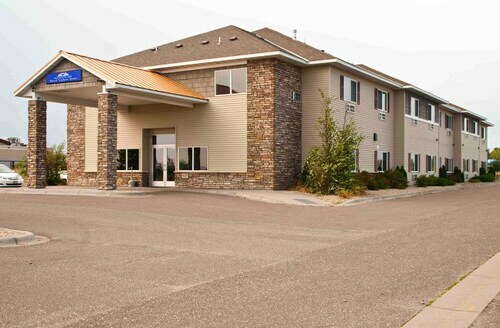 This is your standard budget hotel with small rooms, small tv, etc.